Arizona Senator John McCain died Saturday, leaving behind a large family and his wife. He also survived by his mother, who is now 106 years old. 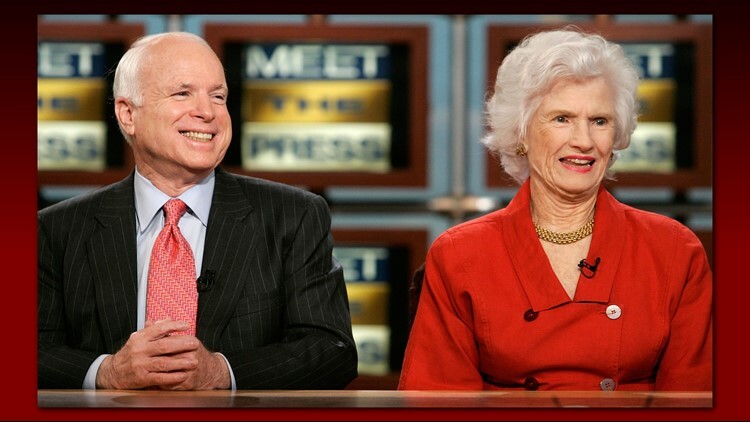 Roberta McCain called her son "Johnny" and had a spunkiness that made John McCain relatable on the campaign trail, and sometimes got him in trouble. Roberta, from Muskogee, Oklahoma, was married to Admiral John S. McCain Jr. in an elopement to Tijuana, Mexico. Roberta was a mother to three children, Sandy, John and Joe. She is best friends with TV personality Greta Van Susteren. Susteren visits Roberta regularly. When Roberta learned that John McCain had cursed at his captors in Vietnam, she warned her son, "Johnny, I'm going to come over there and wash your mouth out with soap."